New garage doors offer plenty of aesthetic and functional benefits, but they can be wallet-friendly as well. If you’re on the fence about garage door replacement in Amelia Beach , then read on to learn about some of the financial benefits of installing a new garage door. It’s common for homeowners to choose repairs over replacement when it comes to garage door issues, as the investment required for the former is typically significantly less than that of the latter. While it’s true that garage door repair can often be the financially smart option, it isn’t always the case. For example, if you’re frequently calling a garage door repair company for one reason or another, then investing in a new garage door may be the cost-saving choice in the long run. Cooler weather has arrived, and if you’re like many homeowners, then you’re taking care of home maintenance tasks that help seal up your home and prevent heat loss and higher heating bills. Besides plugging up gaps around your windows and installing door sweeps, another way to improve your home’s insulation is to replace your old garage door, as newer ones tend to have better insulating qualities. A better-looking garage door can do a lot to enhance the look of your home, which means better curb appeal for your property and the potential for higher home value. Also, replacing your garage door may boost the value of your home in the same way that installing new windows or appliances would. One final financial benefit to consider if you’re dealing with an out of shape garage door is that a new, well-functioning one may do a better job of protecting your property. For example, a garage door that is stuck open or that can be opened by anyone can be an invitation for theft. Lastly, you can choose to have your new garage door installed with an electronic keypad for an added level of security. There are numerous garage doors available on the market for homeowners to choose from. Depending on your needs and tastes, you can find virtually any material, size, or style of door for your home’s garage. It’s important, however, to make sure that your garage door is from a reputable manufacturer and that it is installed in your Jacksonville, FL home by an experienced professional. A quality garage door is one that opens and closes smoothly, that stays airtight when it is closed, and that holds up well to repeated use. Have you ever wondered just what goes into the making of a garage door? This video provides a unique window into the process of manufacturing a typical residential garage door. 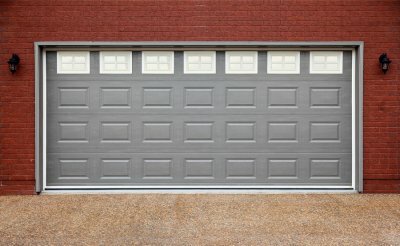 Your new garage door can be a very dangerous device if it is not used properly. If you are a parent, it is of the utmost importance that you have a serious discussion with your children about garage door safety. A team of garage door experts in Jacksonville can provide you with important safety information about your new garage door. By passing this information along to your children, you can prevent a devastating accident at home. Let’s review some essential tips for teaching your kids about garage door safety. Knowledge of your garage door and how it works can help to keep your kids safe in your garage. After your new garage door installation, you can take some time to walk your children through the basics of how your garage door works. 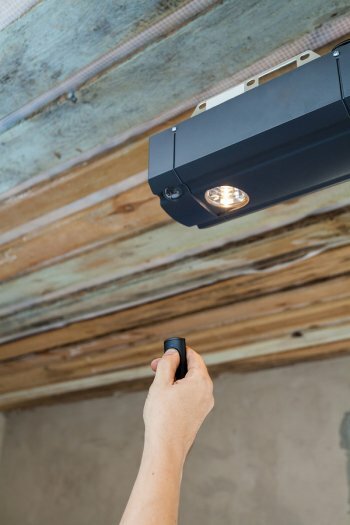 During your talk, you should explain the purpose and function of the garage door opener, the remote, and the door, itself. If your children understand how your garage door operates, they will have more respect for its power. Along with teaching your children about how the garage door works, you should also have a serious discussion of the dangers of playing with the garage door. As a moving device, the garage door may be a tempting play items for younger kids. You will need to explain the dangers of playing under or near the garage, and possibility even set consequences for unsupervised play in your garage. While DIY garage door repairs are not recommended, there may be a few simple and safe fixes that you can perform on your own garage door. If you are headed out to the garage to change the remote batteries or perform another simple repair, you may want to include your children with the task. Teaching your children about the basics of maintaining a garage door will help them understand the importance of garage door safety.